Office: Milsrof, Eglos Road.Churchtown. Ludgvan. Crisis offers a critique of life from a broad Christian standpoint. Features of up to 1000 words are welome on the arts. or subjects touching on the human condition. There is no payment, this journal is entirely financed by the publisher and receives no grants. Crisis usually appears in the third week of a month. Past issues can be read by going to the Crisis Archive. Any problems then go Jasperian Theatre Company and follow the relevant guide. JTC is the theatre Company run by Tony Jasper that began its days in 1992. but now only functions intermittingly. In his celebrated music career it is said he always had Bible by his bedside. He grew up as a church boy. He was Bible believing. In younger days he experienced white gospel singers, but he was entranced by what he heard elsewhere. He would hang around outside the black churches, later saying he was deeply moved by what he heard. He never lost love for faith songs. This eventual king of “rock ‘n’ roll” would find time to record several albums of Gospel songs, popular hymns, and Christmas carols. Two of these releases were “How Great Thou Art” (1967) and “He Touched Me”(1972). These albums provide the material for the new put-together recorded set “Where No One Stands Alone (RCA)”. “Stand By Me:” and said to be the best loved hymn in the UK, a soaring choir driven “How Great Thou Art,” so tailor-made for his vocal, and here with a majestic choir to vocally colour that should get anyone off their feet such is its intensity and passion, especially when the choir move up an octave. There is the musical derived “You’ll Never Walk Alone,” that has also the football and life affirmation and defiance anthem for those who support Liverpool FC. This is taken at a slowish pace and sung so movingly by this great artist. He Touched Me” has the same strength – simply remarkable. For other less arranged Elvis inspirational albums, and distinct from those two mentioned, there is “His Hand In Mine,”(BMG) a beautiful “Christmas Wishes”(Sony) and “Elvis Ultimate Gospel” (Sony) which claims to have “all of Elvis’s greatest inspirational recordings on one CD, mastered using DSD technology for optimum sound quality.” 25 songs and in total over sixty minutes. This review first appeared in The Methodist Recorder. These releases crrently blast the silence. 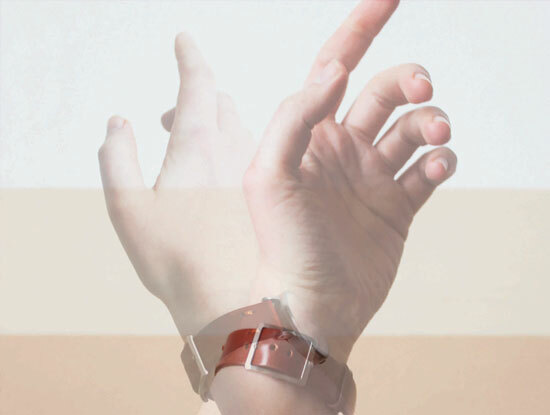 Spiritualised – And Nothing Hurt. The Caprice Singers – Parry – Songs of Farewell. This year is the centenary of a quiet nun “who shook up the church and the world of Pop Art’ with great slabs of colour as she sought to take Christians away from monocrome, even if she herself, a nun, could only live in black and white. Sister Corita, a contemporary of Andy Warhol and Ed Ruscha. It also sees a new exhibition of the work of celebrated artist Patrick Heron and which reminds us of religious influence upon his work. 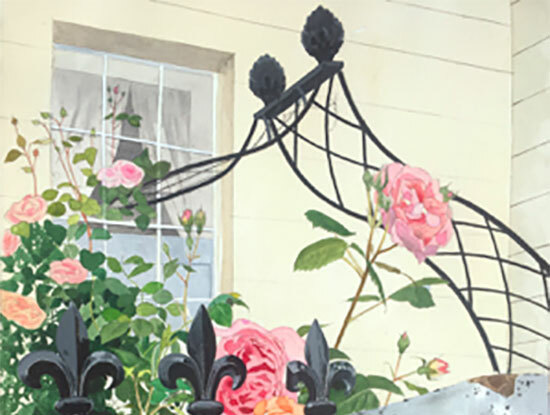 Sister Corita’s exhibition is entitled ‘Get With the Action’ and is at the Ditchting Musem of Art + Craft – located in the picturesque South Down village, and seen as an unmissable stop on the Sussex art trail. It runs until 14 October. As ‘`arts people know this is no ordinary village for it has an extraordinary museum that has entertained or been home to many innovative artists and remarkably gaining international acclaim. Her work has been described bythe director of the Corita Kent Centre in Los Angeles as “ expressive, exuberant, loud and boistrous.”Sister Corita is adapt at taking something the world says and turning it into a message that stems from her devout Christian faith. A feature on her by Joanna Moorhead in The Observer Magazine (April 22. P 45) gave several illustrations, Ms Moorhead ends her piece by saying “It’s her works from the 1960s that underline her relevance today. They trumpet her belief that social injustice can be changed and that the heart of ilfe is love, and caring for others, that matter more than anything.” Her work in later years reflects her experience of cancer. Biblical verses and quotes were brought into play to “create vibrant silkscreens with trenchent political messages about racism, poverty and injustice.” In worship terms two books with Leslie Brandt, Eplistles Now and The Psalms are quite brilliant, and use of the latter in services occasioned many enquiries and that doesnt happen too often! Patrick Heron’s current exhibition at the Tate, St Ives, Cornwall, runs into the Autumn.Heron’s Bloomsbury family moved to the Cornish seaside when he was five. As a young man he worked for Bernard Leach at his St. Ives pottery, more so he met Ben Nicholson, an English painter of abstract compostions, landscape and still-life. A commentary on his work by Ruth Guilding, and subsequently as to what can be seen at the Tate is given in the Times Literary Supplemnt (August 3. P18). In one instance she notes:” “Big greens with Reds and Violets is a a vehicle for contemplation with some of the great religious character of a Rothko, the artist whom Heron most admired for his painting.” The exhibition runs until September 13. So it might be said that bright, breezy, and adventursome colour is ‘in’ But would I find it in Methodist churches in a worship setting Sunday by Sunday? Let alone adorning presybters in their worship dress? Are we a church with our chapels home to various shades of brown dull life- denying wood? We wonder why young people show no interest in the Faith – it’s not the faith, it’s the boring lifeless state of some churches set against colour exploding in the clubs and discos, trendy clothing stores, and from my observation, even some schools. What though of our church and colour, outside of our one recourse to bring some light into the drab – flowers.Of course sometimes flower displays are occasionally placed in front of a cross on the central communion table. Blue, green, purple, gold, red, whIte (and yes, black) are the major colours within general Christian tradition. The established church has a pattern of seasons and special days, whereas we stumble uncertainly, and between Pentecost and Advent we slide in harvest and look for something else, perhaps an anniversary, or a men’s day, a women’s day, family times. Colours express emotions and ideas that are associaed with each ot the liturgical year’s specials. Are we Methodists afraid of the great traditions of colour that are so central to some of the Christian family? And is black and white the almost mandatory clergy dress ? Fortunately the ever expanding of women presbyters is driving away the oftten stale male image. As a mere humble local preacher what is there to offer? My recourse is a T-shirt and cross, and aware that a few years back I was reported for not wearing a tie, although I do have some very colourful pieces that might get me reported for excess. Should I be more adventuresome? This first appeared in The Methodist Reorder. The compilers of Singing the Faith (StF) like those of Hymns & Psalms (HP) in the early 1980’s had a problem: what to do about Wesley? 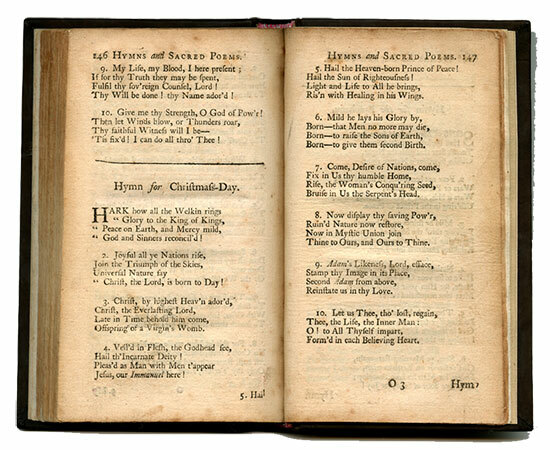 The role of a hymn book is “to serve the present age” but yet our church continues to draw from the rich vein of theology that is the hymns of the Wesley brothers. Charles Wesley is an enigma. It is clear that he had long lasting misgivings about the direction that his brother was taking in establishing a church that became separated from the Church of England and yet he produced some of the most profound religious poetry in our language – or any other - that effectively characterised the very spirit of Methodism. Indeed, for many years the only hymns sung in Methodist churches were those of Charles. That began to change in Victorian times and, of course, has gone on ever since. Charles is reckoned to have written over 6,000 hymns, of which 268 were included in the Methodist Hymn Book (MHB) of 1933, 173 in HP --0and only 73 in StF – and some of those have been “improved” by the politically correct thought police. The Church Council of Hinde Street, whilst recognising the overall merits of StF, decided that our heritage should not be consigned to the top shelf but recognised for its lasting worth. They have therefore produced this collection of hymns which comprises essentially those that were in HP but omitted from StF. They are mainly by Charles but also including some of John’s translations from the German Moravian hymns and his own “Father of all, whose powerful voice…”. Nor should we forget the importance of these translations. If John had not met the Moravians on his way to Savannah he would not have known about their Arminianism, their hymns and their treatment of prevenient grace; he would not have gone to Herrnhut; he would probably not have met Peter Bőhler and the chances are that he would not have gone to Aldersgate Street on 24 May 1738. Of such is history made! This collection includes 98 hymns and tunes, essentially as set in HP but re-ordered and with a few changes and additions. These include a new tune Beck by Nicola Morrison set to Open, Lord, my inward ear and a re-arrangement of Purcell’s Fairest Isle for Love divine, all loves excelling. This has been left in the key of G major, but in my view it would have benefited from transposition to F major. Five hymns that appeared in MHB but not in HP are included and one, Celebrate Immanuel’s name, from the Canadian Methodist Hymn Book of 1884 which I cannot find in any previously published British Methodist hymnal. The “well known” hymns and tunes are omitted as they can be found in StF, but I was pleased to see the words of certain hymns, including Christ the Lord is risen today restored to the HP version. The question arises as to whether or not this collection will find a practical use. Its format is the same size as the music version of StF ( but somewhat slimmer!). Many churches still have copies of HP available for use “as and when” but given that most churches nowadays have projection facilities, an electronic version would be most useful for slotting in amongst other material. So well done, the team at Hinde Street for your vision. I’m not sure to what extent preachers and house groups these days study Wesleyan hymns but it seems to me that this is a most useful source of core material that should help people get to grips with where we have come from. In this beautifully written book meet Greer Kadetsky – a woman searching for life’s directions. This novel comes from the writer who gave us This my Life, way back in 1988. Major fame came with The Wife. Last year the cinematic adaptation received high praise. The author is 88. Frances Uren left us a few years ago for higher things. He was a wonderful laid-back kind and gentle soul. He possessed much knowledge f the land as well as Bible. He published a numer of short books of his poems.This comes from ‘Beyond The Gate’ – An exploration of response. Cured my aches and pains. A GREAT OCCASION ARRANGED BY THE ARTS CENTRE GROUP . FROM 2 P.M. TO 5P.M. AT THE METHODIST CENTRAL HALL WESTMINSTER. LONDON. FROM THE BIBLE (ESPECIALLY the PSALMS) TO PRESENT DAY WRITERS INCLUDING ANN CARSON AND ROWAN WILLIAMS. PLUS SINGING THE PSALMS IN HYMNS AND SONGS. SPECIAL GUEST - LORD LESLIE GRIFFITHS (Thought for the Day: Canon St. Paul’s, former minister of Wesley’s Chapel London)) AND HOPEFULLY YOU! PRESENTATION AND READING OF WINNING ENTRIES IN THE NATIONAL 2018 ‘JACK CLEMO’ POETRY COMPETITION. Exhibition at the Society of Graphic Fine Art in October. Private View: October 2nd 6pm-8pm All artists & guests welcome. 1-13 October (Sunday 7th closed) 11am-6pm (closes 5pm on final day). Menier Gallery,51 Southwark St, London, SE1 1RU. Tel 0207 407 3222. Join All Souls Orchestra for an evening at home as they invite good friends to share music, fun and reflection in what they hope will be a series of events. Tickets £20/£15 concessions, £25/£20 on the door. 13 October 7.30-9.45pm at All Souls Church, Langham Place. The conference for those working in journalism, communications, content production or PR who are interested in religions and ethics. 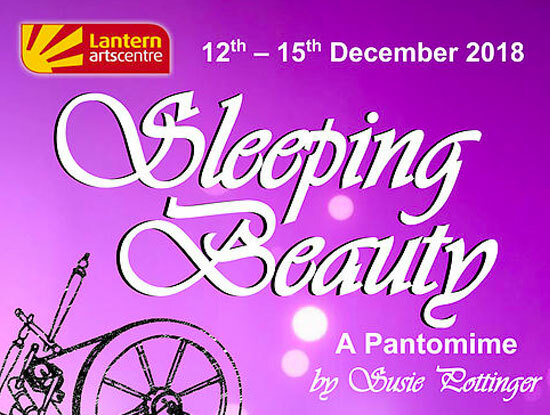 12-15 December 7.30pm (Saturday matinee 2.30pm). Morphe Arts presents a lecture by Jonathan Anderson, artist and associate professor of art at Biola University. Several of the talks given at Morphe Arts’ recent conference, Why Beauty Matters, are available for download. 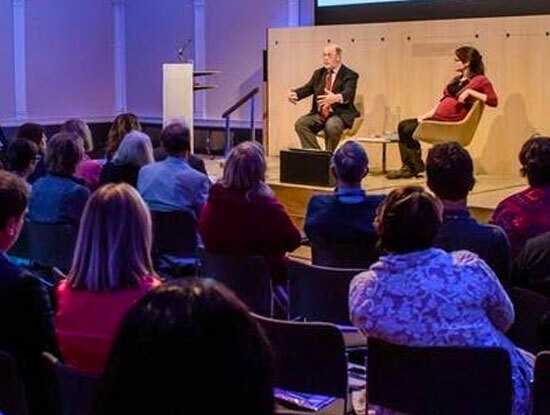 Talks by Prof Ben Quash and Roberta Green Ahmanson are currently available with more to follow. 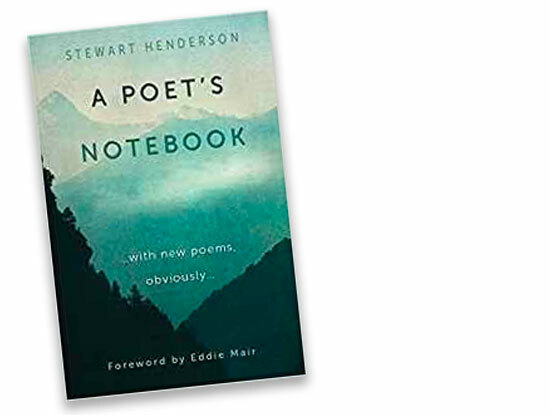 Bestselling poet; broadcaster and songwriter, Stewart Henderson has recently published his new book comprising of 21 of his poemspreceded by an engrossing commentary on the sources and development of each. With a foreword by Eddie Mair, the book features a rare combination of poetic journal, travelogue and cultural almanac complete with the poet’s trademark humour and pertinent observations. With reflections on Emily Dickinson, C. S. Lewis, Malcolm McLaren, P. G. Wodehouse, and maritime Liverpool, alongside accounts of personal encounters with Malcolm Muggeridge, Madeleine L’Engle (A Wrinkle in Time) and Alastair Reid, A Poet’s Notebook is primarily an examination of our collective, restless soul as we ask: how did we end up here? The Sunday Times described Stewart’s children’s poetry as “essential reading”. He presented Questions Questions for ten years for BBC Radio 4, and has originated and presented many social history documentaries for BBC Radio 4, BBC Radio 2, and BBC World Service. As a lyricist for Martyn Joseph, and Yvonne Lyon, Bob Harris of BBC Radio 2 praised the “lyrical intelligence” of Stewart’s lyrics. A Poet’s Notebook…is published by Lion Hudson, and is readily available via Amazon (link below), other mainstream commercial outlets, and bookshops.